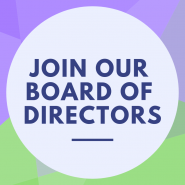 We are recruiting eight women to join the Women’s Centre Board of Directors. Board members help ensure the Women’s Centre is effective and efficient in its mission to be every woman’s place for support, connections and community. Joining the Women’s Centre board means joining a community of women passionate about feminism, social justice, and the status of women in Calgary and beyond. The time commitment for this role is approximately 10 hours a month, for a one year term. Board members may choose to stay on the board for up to five years. If you have a legal or financial background, board experience, or if you bring an understanding of diverse cultures, we are particularly interested in hearing from you. All applications are welcome, as we are hoping to recruit women with various backgrounds and experiences to our team. Applications for the Women’s Centre Board of Directors are now closed. Sign up for our newsletter for an announcement when the 2020 applications open. ← Meet Veronica, our new Practicum Student!